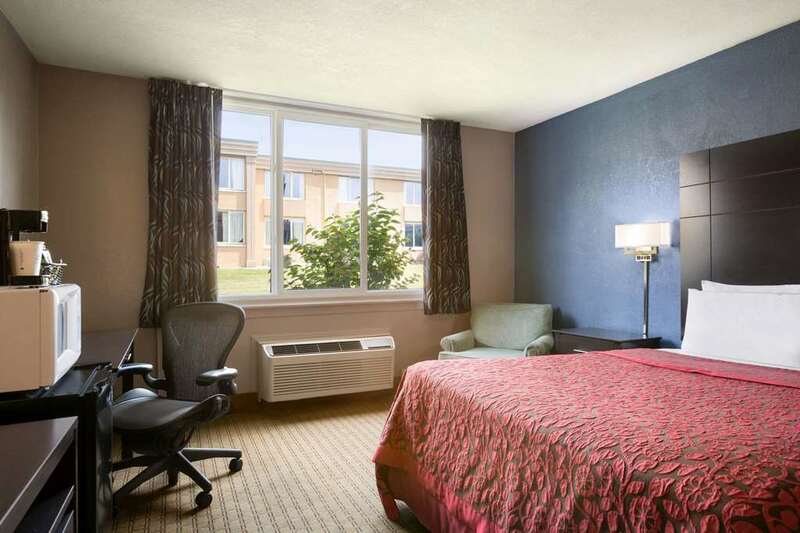 The Days Inn Willoughby is a 112 room, interior corridor property. We offer Free Daybreak Continental Breakfast, Free Local Calls, Business Place Rooms, a Seasonal Outdoor Pool. All rooms feature- Microwaves, Refrigerators, Cable TV with HBO, in-room safes and Free High Speed Wireless Internet access. We are a Pet Friendly hotel. A fee of 15.00 per pet per night will be applied. We are conveniently located off I-90 Exit 193. 20 miles east of Cleveland.